Great experience, no formal qualification - MBA? Great experience, no formal qualification - MBA? 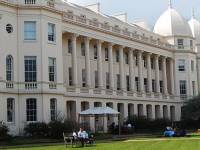 Several UK business schools are now offering courses in London, affording students all the advantages of studying in one of the world's financial capitals. laurie posted on a discussion Westminster closes MBAs?